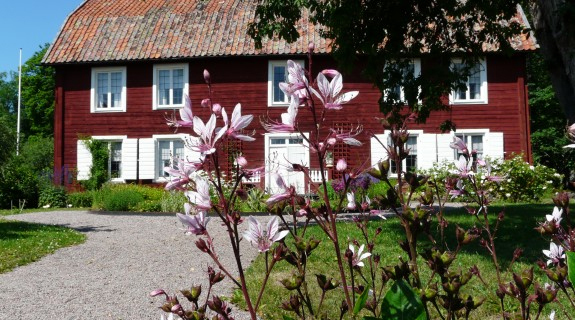 Spend a whole day in the spirit of Linnaeus and walk one of Linnaeus' eight walking trails, called herbations. 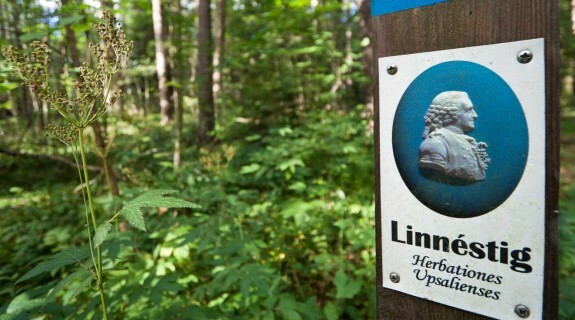 If you would like to spend a whole day in the spirit of Linnaeus, walk one of the eight Linnéstigarna trails, which offer you the joy of discovery, knowledge, exercise and recreation. Or bring out your hidden child: take your mobile phone with you and find the secret treasures. The Linnéstigarna give you the chance to use all your curiosity and your thirst for discovery. In warmer weather, Linnaeus often moved some of his teaching outdoors, and took excursions with his students among nature so they could see species in their natural habitats. But he also thought exercise in the fresh air was good for us. The eight excursions were carefully planned to give students the chance to see a variety of habitats during the season. The students assembled before the excursion, and Linnaeus gave them various tasks. For example, one student made notes of everything said and done. 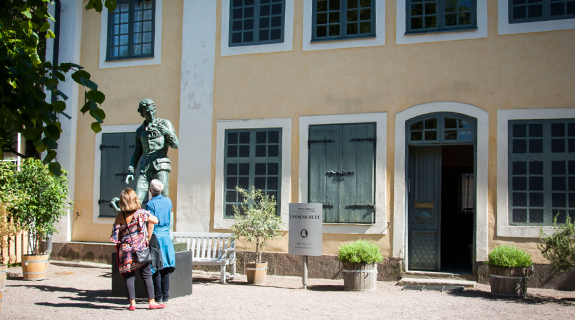 Today’s Linnéstigar are based on the records made during the excursions, and the stopping points are Linnaeus’ own teaching locations. Nearly 350 of the plants Linnaeus demonstrated still live along the trails that wander through forests, over ridges and alongside fields and rivers. So put on comfortable clothes and rugged footwear, and pack your lunch in your backpack! Linnaeus’ eight walking trails, called herbations, are all waymarked. There are information boards along the Danmarksvandringen, Gottsundavandringen, Vaksalavandringen and Jumkilsvandringen trails. 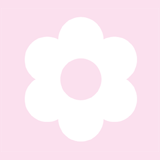 They give you advice and recommendations for feeling, smelling and seeing everything there is to experience in nature. You can choose whether to walk the trails in sections or walk all day. The Ultunavandringen, Hågavandringen, Gamla Uppsalavandringen and Husbyvandringen trails are slightly different from the first four, and are aimed specifically at children. You do not have to walk the whole trail. There are starting points and junctions where you can meet up. There are various tasks to solve along the way and, here and there, places where exciting things happen. Solving the various puzzles gives you the location of the secret treasure. You can pick up the treasure hunt map at Biotopia in Vasaparken, starting point of the trail, or download it from the internet. You can also borrow a GPS at Biotopia. Along the walks, Linnaeus is available as your guide on your mobile. The phone number is given at the various junctions. Calls are charged at the standard rate. 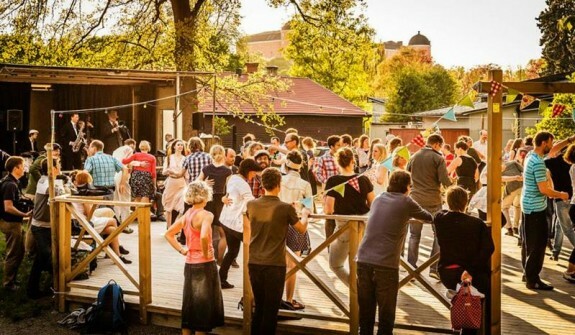 Gottsundavandringen currently starts at Gläntan in the city forest, Stadsskogen. Here you can gaze out over Norby marsh, now built on, where Linnaeus demonstrated cloudberries. After a stroll through the city forest, you continue alongside the river Hågaån. The trail (6 km) ends at Lurbo bridge. Ultunavandringen (7 km) has six junctions, and begins at Slottstullen. The landscape here testifies to the ravages of the Ice Age. The brave venture out across the marshy ground on the Sunnerstaspången walkway at the end of the walk. Hågavandringen starts at Carolina Rediviva and ends in the village of Håga by. The trail (6 km) has four junctions. And locations with everything from the city’s pulse to the comforting aroma of manure. Travel in time and space from tobacco cultivation to sheep and horses. Danmarksvandringen (16 km) starts in the harbour and leads out to Kungsängen, where all the snake’s head fritillaries flower in May. From there it follows the river Sävjaån towards Linnaeus’ Sävja, and then on to Linnaeus’ Hammarby. Gamla Uppsalavandringen (10 km) has five junctions, and leads you from Linnéträdgården out of the city and into the countryside to the ancient royal burial site at Gamla Uppsala. If you dare, you can sneak up to Sjödyn, a swamp said to be the home of a huge blood-sucking monster! Vaksalavandringen (9 km) starts in Nyby, and continues out across the fields and meadows east of the town to Vaksala church. And then beyond, across the meadows at Eke and Jälla to the farm Törnby gård, whose income paid Linnaeus’ professorial salary. Husbyvandringen (17 km) starts at Finn Malmgrens plats, and has six junctions. You can cycle or walk. Play landscape detective along the river Fyrisån, whose rich flora and fauna today includes fish and rare species of mussel. Jumkilsvandringen is the only walk that starts outside the city. From Jumkil church, go through Örnsätra and westwards into the forests, where you can still see twinflower blooming during the summer. The walk (7 km) ends at Studentvilan (Students’ Rest).